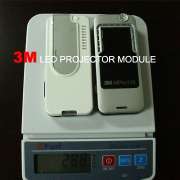 The multi-media LED mini projector provided by Cetus International, uses LED Module produced by 3M company, and is equiped with up-market shell. This portable device is able to play films, MP3, and pictures with different format. It is bright-colored and lively, with 12000/rpm high-speed tiny fan to solve the heat problem of its kind. 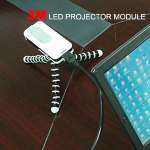 How can you miss this special mini projector? Cetus International is founded in 2003. We are an OEM/ODM manufacturer and supplier, magnetic components, and power adapters. Our team is well developed, consisted with multiple talent staffs. With our strict product line of mini projector, we are sure to be your ideal choice!